A quick scan of the milk aisle at the grocery store and it’s clear that cow’s milk has lots of competition these days, with options such as almond milk, cashew milk and flax milk. For those who wish to avoid cow’s milk for dietary, nutritional or environmental reasons, there is a milk alternative to suit nearly any preference, intolerance or sensitivity. Most “non-milk” milks are made from nuts, seeds or grains that are mixed with water and salt, as well as thickeners and emulsifiers, though there are a few exceptions. The protein content can vary widely, as does the carb, sugar, vitamin and mineral content. As a general guideline, look for unsweetened varieties to avoid what can be a day’s worth of added sugar in a single cup. The key is to check labels closely to find the milk alternative that has the majority of the nutrients you’re looking for, without the stuff that you don’t want. If you’re looking for a very-low calorie, low-carb milk alternative that’s fortified with calcium and D, for example, then unsweetened almond milk, cashew milk, coconut milk or flax milk could each be a fit, with just 25-45 calories and 0-1 gram of carb per cup. But if you’re looking to get more of a protein boost from your non-milk milk while still keeping sugars in check, then an option like Ripple’s Unsweetened Pea Protein ‘milk’ with 8 grams of protein may be a better fit, or a protein-fortified milk alternative like Good Karma’s Unsweetened Flaxmilk + Protein. When it comes to comparing the flavors, we’re definitely not comparing apples to apples. One isn’t necessarily better than the other – and taste, appearance and texture vary widely – so it really comes down to individual preference. Finding the one you like best may require a bit of trial and error. Here’s a guide to what you’ll see on labels, what the numbers mean, and why certain ingredients are added. We’ve also included the nutrition facts for nine different milk alternatives, along with a recipe for DIY homemade almond milk (or any type of nut milk). Calories. Just because it’s almond milk (or coconut, cashew or any other “milk”) doesn’t mean it’s low in calories. 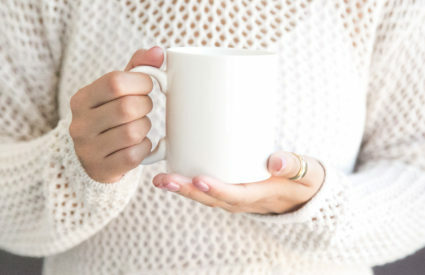 Depending on the type of milk and whether it’s sugar-sweetened, calories can range from a very-low 25 calories per cup, to as much as 190 calories per cup. Protein. Compared to 8 grams of protein per cup of cow’s milk, many non-milk alternatives fall short with as little as 0 or 1 gram of protein per cup. 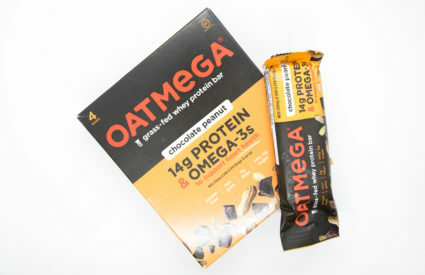 Some brands have a little more – 3 to 5 grams of protein – and still others are fortified with protein (often pea protein) to boost protein to 8 grams per cup. Sugar. If you see sugar listed on the nutrition facts label, this is almost always added sugar (e.g. organic cane sugar, dried cane syrup, or brown rice syrup) – not the naturally-occurring milk sugar found in regular cow’s milk. Look for milks labeled as unsweetened, or naturally sweetened with low-calorie stevia or monkfruit. 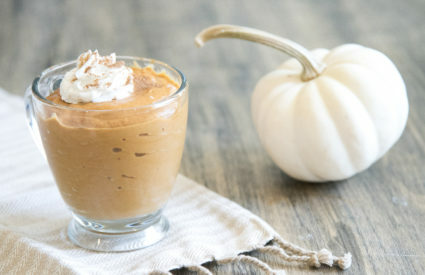 Unsweetened varieties usually have little or no sugar, while the sweetened varieties can cram in as much as 28 grams of sugar – more than a day’s worth of added sugar – into a single cup. Calcium and Vitamin D. If you’re getting plenty of calcium and vitamin D from other foods in your diet, these nutrients are less critical to try to get from your choice of milk. Keep in mind, however, that many of us don’t get enough of these. It’s estimated that 75 percent of Americans are deficient in vitamin D, and milk and milk alternatives are among the top sources of vitamin D in our diets. With that in mind, look for milk options with at least 30 percent of the daily value for calcium and at least 25 percent of the daily value for Vitamin D.
Lecithin. Sunflower lecithin is the type of lecithin typically used in milk alternatives, serving as an emulsifier to help keep the particles evenly suspended in solution, instead of settling to the bottom. Gums. Nearly all brands of store-bought milk alternatives contained added gums. Common gums used include xanthan gum and gellan gum (both are derived from carbohydrates that are fermented by bacteria), guar gum (from a pea plant native to India and Pakistan), locust bean gum (from locust bean plant), and/or carrageenan (from seaweed), explains Darryl Holliday, assistant professor of food science at The University of Holy Cross in Algiers. “These gums are carbohydrates that are used to thicken and stabilize these non-milk alternatives. 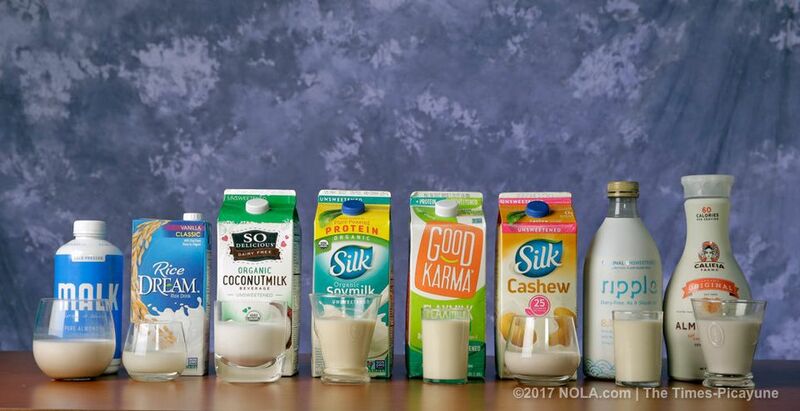 They’re all-natural compounds that we extract from nature, and in the big picture of things, it’s such a small amount of gums that are used in these milk alternative products that they do not pose a significant health risk,” he said. “Carrageenan may cause an acute inflammatory response in a small number of sensitive individuals, but again, in the normal, amounts found in foods, most people are not likely to be affected. The main side effect to look for with carrageenan is intestinal discomfort, including constipation, diarrhea, gas and/or bloating,” he said. Two brands that don’t use any added gums or emulsifiers at all: MALK (details below) and Forager. Note: 1 cup nonfat milk contains 90 calories, 12 grams carbs, 12 grams sugar, 8 grams protein, 30 percent DV calcium, 25 percent DV vitamin D.
MALK is one of few brands on shelves without added thickeners, stabilizers, or emulsifiers. This DIY Almond Milk can be made in a pinch with raw, unsoaked almonds, but soaking the almonds removes the skin, and also helps to break down the phytic acid, which can impair nutrient absorption. Cashews, pecans, or most other types of nuts can be used in place of almonds. Soak almonds for seven or more hours (or overnight) in 3 cups warm water with a teaspoon of sea salt, and rinse well. In food processor, blend almonds with pure water for 30 to 60 seconds, until creamy. Pour liquid into a cheesecloth and drain into large bowl. Put mixture back into blender or large jar with a sealed lid to shake or blend in the optional vanilla or sweetener. Pour into glass jar or pitcher with an air-tight lid and store in fridge for up to one week. What to do with the leftover almond pulp? – Spread it onto a baking sheet and bake until dry, to form almond flour. – Replace some of the flour in baked goods, pancakes, or waffles. 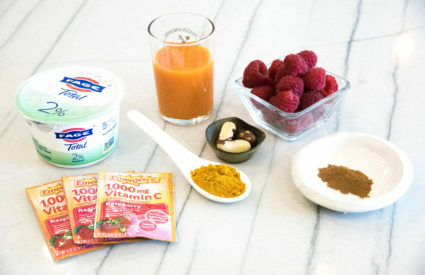 – Add it to smoothies.